Monday night’s storms in the Nottingham area were fairly intense. Lightning even sparked a few fires in the Parkville area. Eventually, the skies cleared and many local residents were treated to a beautiful rainbow. 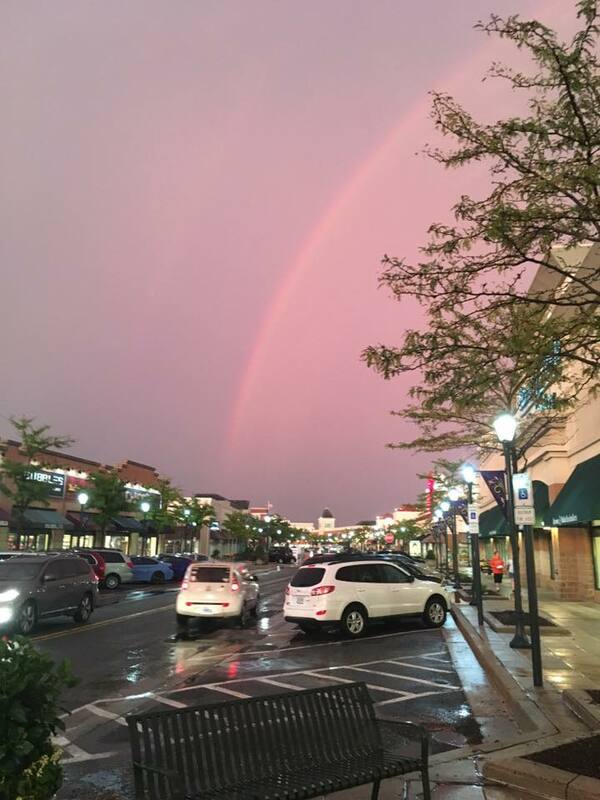 On Tuesday morning, The Avenue at White Marsh shared this gorgeous photo (taken by Carol Blizzard Gower) of a rainbow over the main thoroughfare, that’s sure to put a smile on your face. This picture would seem to answer an age-old question. Clearly, the pot of gold can be found at…Don Pablo’s?